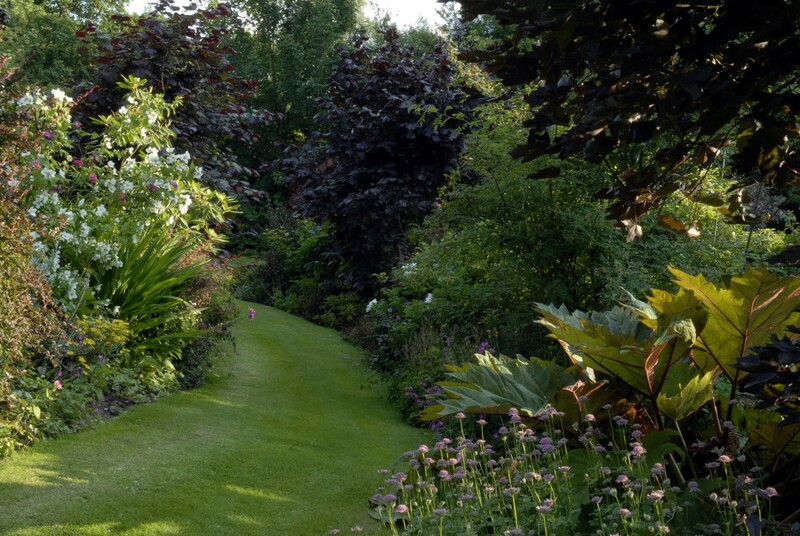 “Unusual and interesting” according to the Good Gardens Guide (which gives a grading); Clearbeck offers, say visitors, “a surprise round every corner”. Lawns, flower beds and ponds near the house lead out over the lake and wildlife landscape garden to mountains and meadows beyond. Don Quixote, catching your eye from the gate, captures the spirit of this 4+ acre garden, where tower, temple, pyramid and maze tempt the fun-loving and thoughtful. 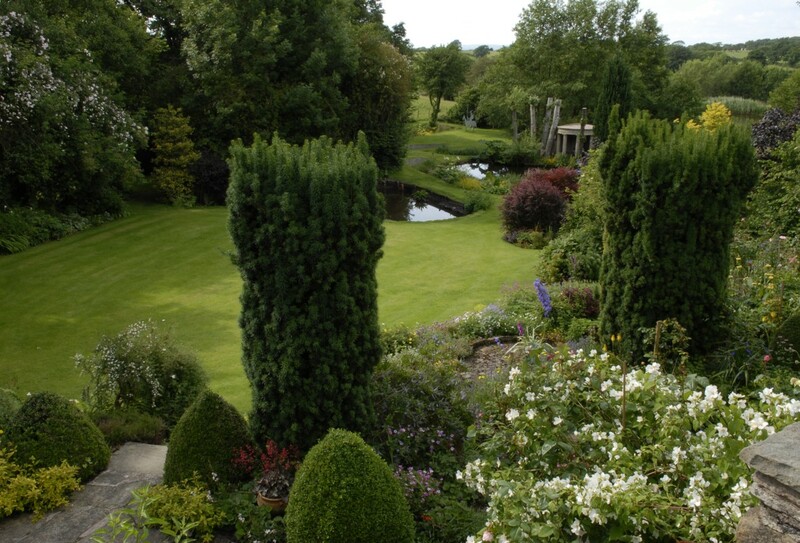 Set in the lovely area of Tatham Fells, it was dubbed “the artist’s garden” by RHS tours because of its sculpture and artist’s studio.